Can't view this email? Try the web version instead. We continue to support councils respond to challenges in recycling services. 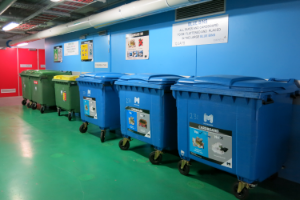 The first Metropolitan Local Government Waste Forum (Forum) for 2019 was held on 21 February. A panel discussion explored issues and opportunities in resource recovery, and elections were held for key Forum roles. 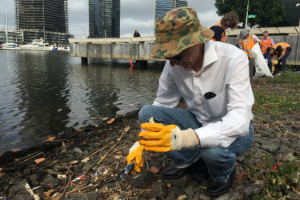 On 26 February we marked Business Clean Up Day by holding a litter clean up on the banks of the Yarra River. We were joined by staff from Sustainability Victoria, Public Transport Victoria, Keep Victoria Beautiful and Penguin Books. We filled 16 bags with common litter items such as cigarette butts, sushi soy sauce fish, straws and plastic packaging. Thanks to everyone who did their bit for litter reduction this Clean Up Australia Day. We recently hosted a workshop to support council waste staff to effectively engage with planners to improve waste management outcomes in multi-unit developments (MUDs). Training sessions for council planners on planning for waste management and recycling in MUDs will be held later this year. 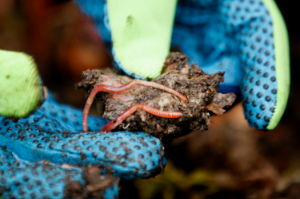 The City of Stonnington’s Apartment Composting Program is making food waste recycling easier for people living in apartment blocks, by helping them establish communal worm farms. Almost seven tonnes of toxic household chemicals were safely disposed of at a Detox your Home event in Skye, hosted by Frankston City Council on Saturday 2 February. Designers can now create clothes from materials including wood, recycled newspaper, cardboard and old cotton textiles. Researchers from Finland's Aalto University have developed the sustainable ‘Ioncell’ technology to make use of material that would otherwise be wasted. If you have a weird or wonderful waste news story to share, please email web.editor@mwrrg.vic.gov.au. Registrations for the Planning for major waste and resource recovery facilities and closed landfills training course close on 28 March. This Planning Institute of Australia (PIA) accredited course has been developed to assist council planners to understand the critical role of significant waste and resource recovery infrastructure in supporting sustainable growth and the importance of planning for the post-closure and operation phases of these facilities. The course will be held on Thursday 4 April. The Welcome to Wasteland exhibition explores the use of waste materials, offering an insight into how designers are approaching Australian waste issues. Exhibitors include teachers, students and graduates from RMIT University - some of whom were involved in developing the Recycling Incubator website that was established last year with support from our pilot commercial and industrial waste partnership program. The final round of the Port Phillip Bay Fund is now open, with $850,000 of funding available for projects which are contributing to the health of the bay. This includes projects that reduce and address the threat of litter and other pollutants. Find out more about the fund and how to apply here. International Compost Awareness Week (5-11 May) is a great opportunity to use the Back to Earth Initiative campaign to promote awareness of the correct usage of kerbside green waste bins and highlight how Melbourne’s green waste is being put to good use helping Victorian farms and gardens grow. Visit the Back to Earth website to find out more about the campaign, or contact Senior Communications Adviser Josh Rule on 8698 9828 to find out how MWRRG can help councils deliver the Back to Earth Initiative to their residents. Copyright © 2018 Metropolitan Waste and Resource Recovery Group. All rights reserved. If you want to join our mailing lists, you can subscribe to any or all of our bulletins. If you are already on our mailing lists, you can also update your subscription preferences.